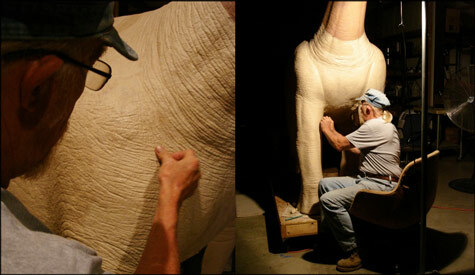 How the juvenile Camarasaurus was created for the UNDERFOOT- Prehistoric Babies, museum exhibit. 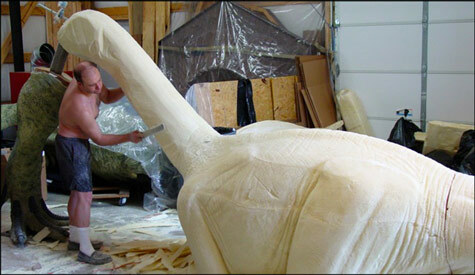 Above, well known paleoartist, Keith Strasser, sculpts the original form. 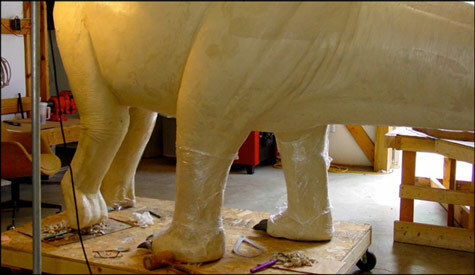 The body was carved from foam blocks and the details cut into the surface. After some effort, it became obvious that we were not going to get a realistic skin texture on the surface with this method. 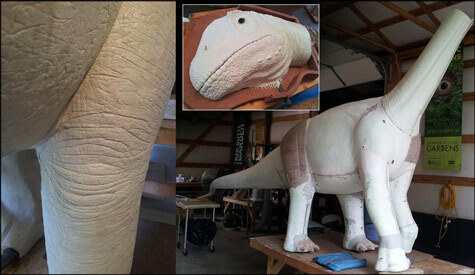 We then decided to cover the whole model with a 1/4-inch layer of clay and impress a very detailed, elephant-like skin texture onto the surface. Tools had to be created to impress the skin texture into the clay. 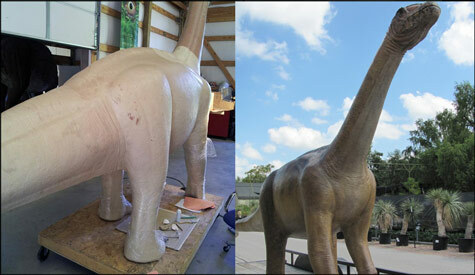 With our tools made, we began adding the details, after much time and effort the Camarasaurus begins to come alive. Much of the skin and wrinkles were made using shadows to highlight the progress. 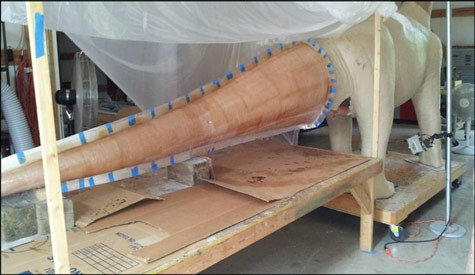 After the entire model had been detailed, I began the long process of making the mold and then making the parts from the mold. After the parts were assembled, it was detailed and painted. After months of work, a juvenile Camarasaurus, made of durable fiberglass, arrives at the San Antonio Botanical Garden for exhibition.